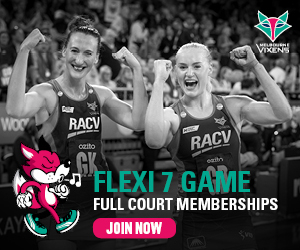 The final piece to the Melbourne Vixens 2019 puzzle has been secured with the signings of South African goaler, Ine-Marí Venter and Vixens’ mid-courter, Tayla Honey. Currently playing for the Gauteng Jaguars in South Africa’s Brutal Fruit Netball Premier League, 23-year-old Venter caught the eye of Head Coach Simone McKinnis at the 2018 Gold Coast Commonwealth Games where she represented the SPAR Proteas, a squad she’s been named in for the last two years. With international caps to her name, Venter was shocked when the Melbourne Vixens selection panel contacted her. “I couldn’t believe it when I first heard that an Australian based team was interested in me, and even more so that they wanted me to sign with them,” said Venter. A familiar face in the Vixens camp, 21-year-old Tayla Honey has been elevated from her two years as a Vixens training partner to round out the list of 10, with the timeline on Mwai Kumwenda’s return from ACL injury still unclear in the early stages of rehab. Honey, who was a replacement player for the Vixens in 2018, said she is honoured to be elevated into the team. “It’s such a surreal feeling, being given this opportunity. I still don’t know what to think but I’m definitely very keen for the 2019 season,” said Honey. The two signings now complete the Vixens’ 2019 list, with the last week’s announcement of Caitlin Thwaites joining the team.